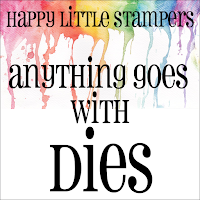 Hey all, it is the 9th of the month, and we have the Anything Goes with Dies challenge up today at HLS. I made a simple one layer with a few die cuts. 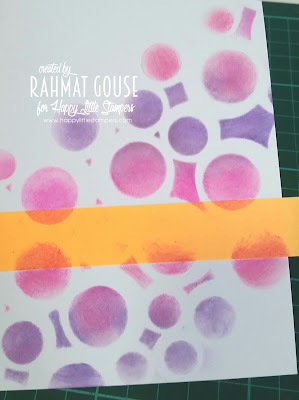 I started off with masking the panel and then stenciling , I used STAMPlorations -bubble stencil and inked up in pink and purple shades of pigment ink. 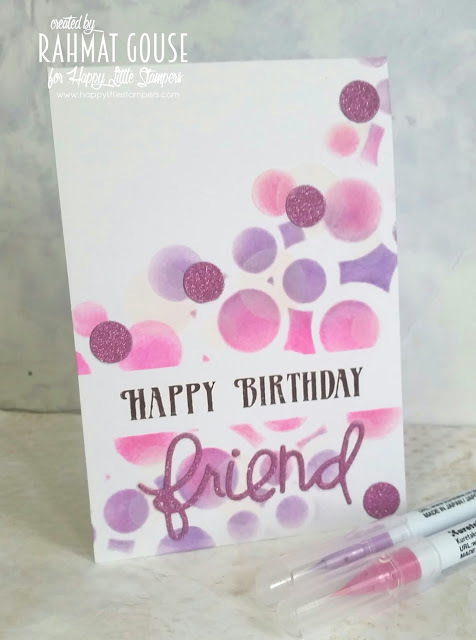 I used a purple glitter paper to die cut the word and a few small circles. Simply added those to the card. The sentiment is from HLS. I hope you liked the card, so stop by the challenge blog to see more from our talented DT. I am currently writing this post on my phone, and missing a couple of details. I will add it whenever I get my hands on the laptop. I have used the friends die from PS. Rahmat, this card is very sweet! Love your bubbles background and the glitter sentiment diecut. So pretty! Love those soft colors! Love the Bokeh feel of your card and of course the sparkle! Great Bokeh look! Love the colors and the glitter sentiment. Love the blended colors and your take on the Bordered Sentiment challenge. Thanks for playing along with Mod Squad Challenge. So fun!! Love the masking for the sentiment; it makes a one layer card look extra special. 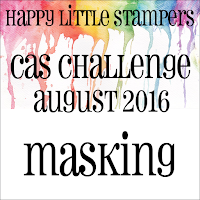 masking was the perfect way to highlight your sentiment! Love it! Pretty card, love the color scheme on this one Rahmat. 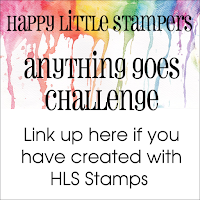 Thanks for entering Creative With Stamps-Geometric Challenge again! So beautiful as usual Rahmat. Love your choice of colours! That's just gorgeous!!! Love it! Thank you for joining us at Creative With Stamps! Love the Bokeh look! So pretty, and such a great design!